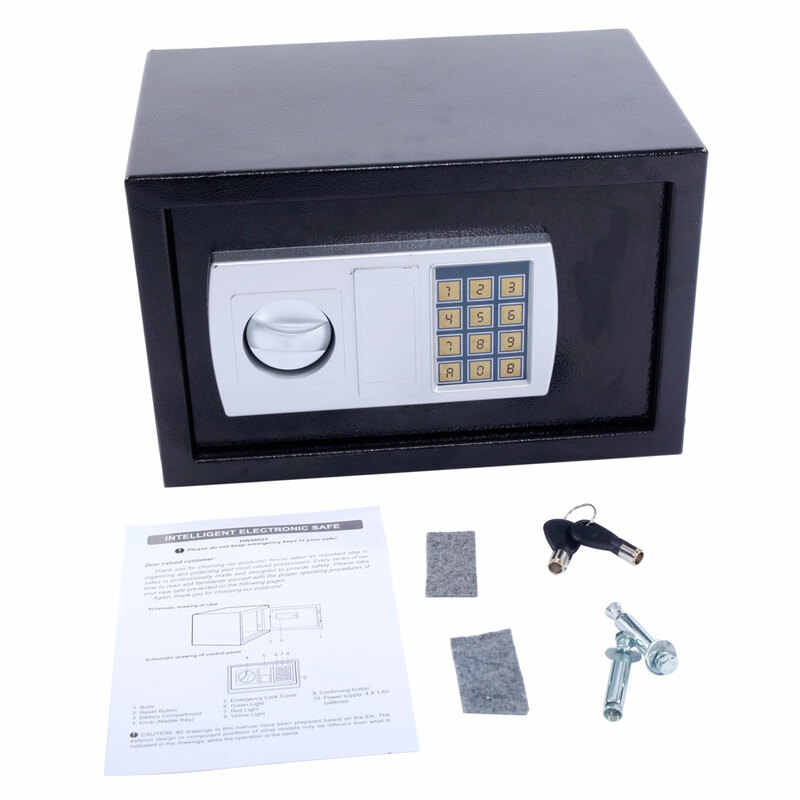 Electronic lock can easily be programmed by the user with a "Safety Key" override. 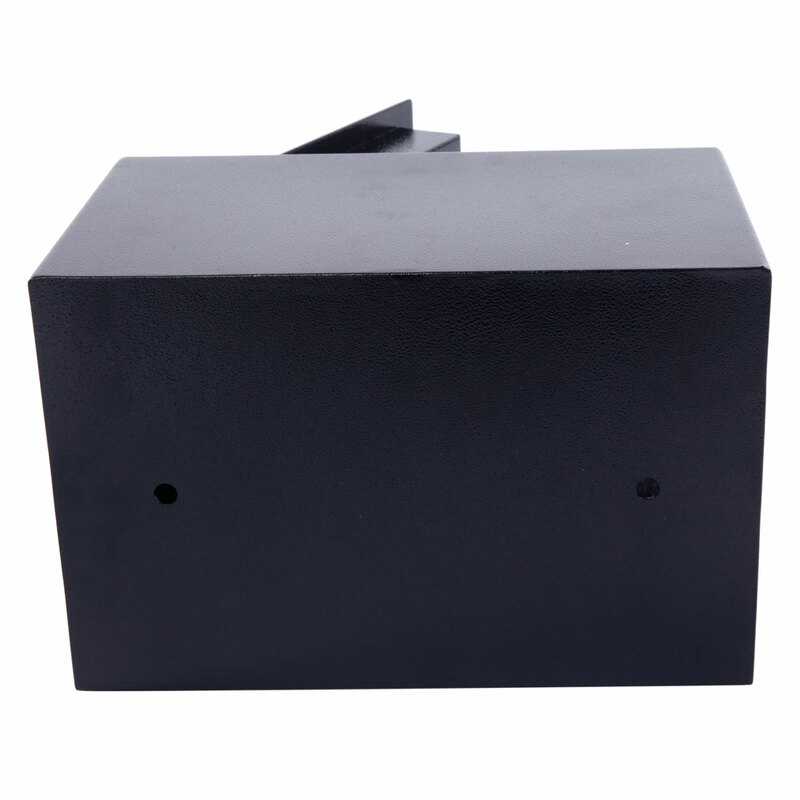 The code consists of 3-8 programmed PIN digits and keyless design is safe and convenient. 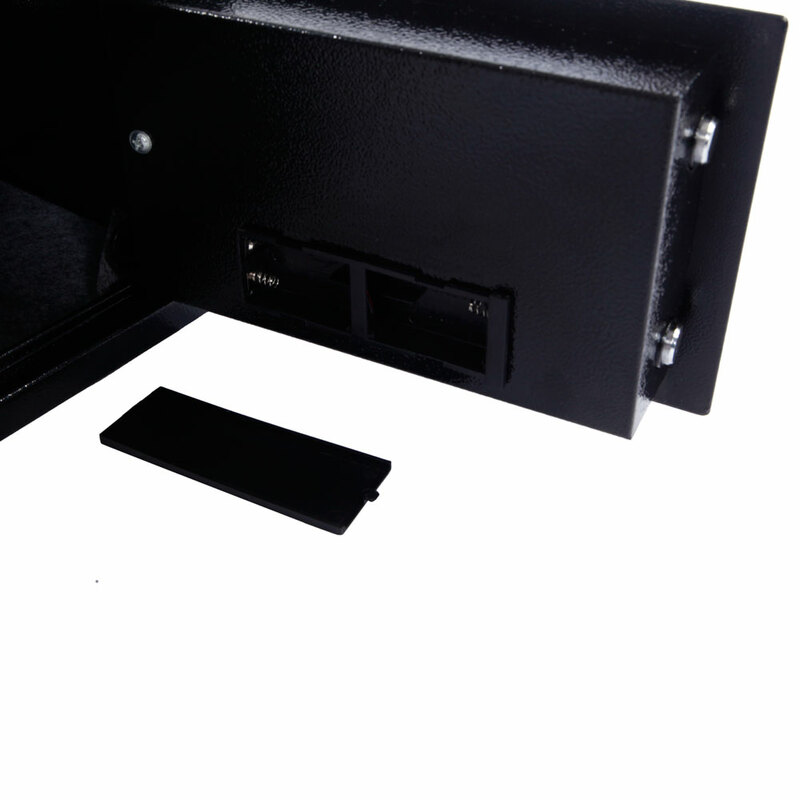 Magnetic lock is for auto-locking the safe without any keys or pin code. 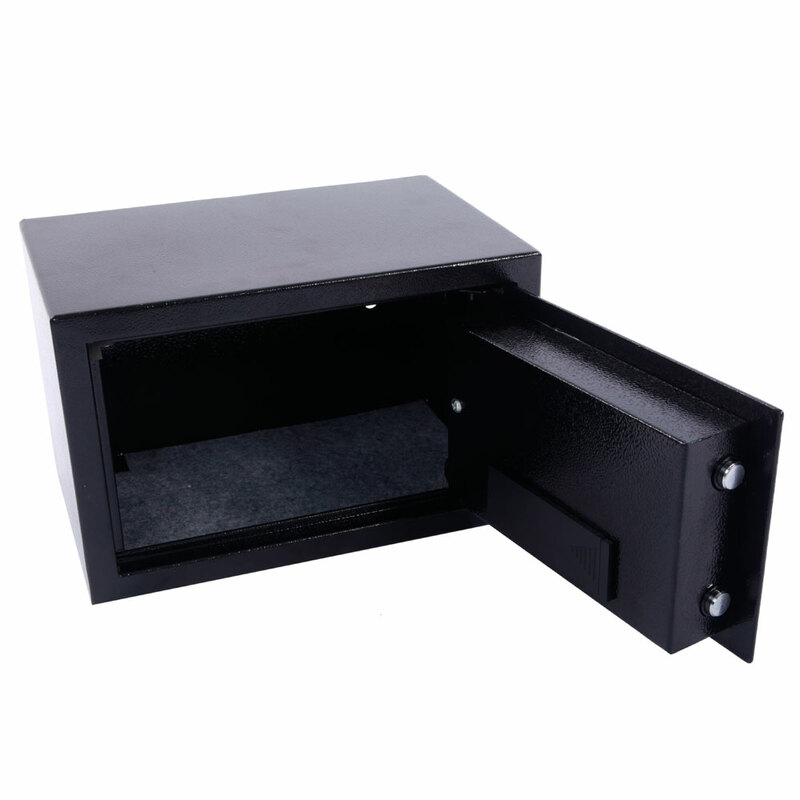 The safe runs on four AA batteries, with 3000-time operation life expectancy of battery. 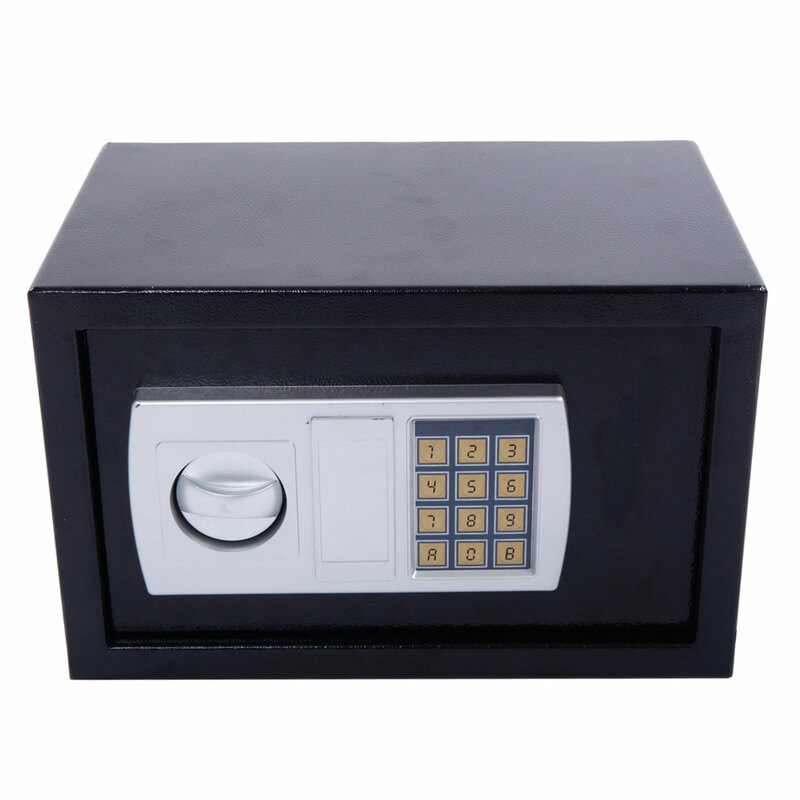 Last week the burglar entered my house,I immediately bought this safe box,I feel very happy with this product,whose storage space is very large inside. 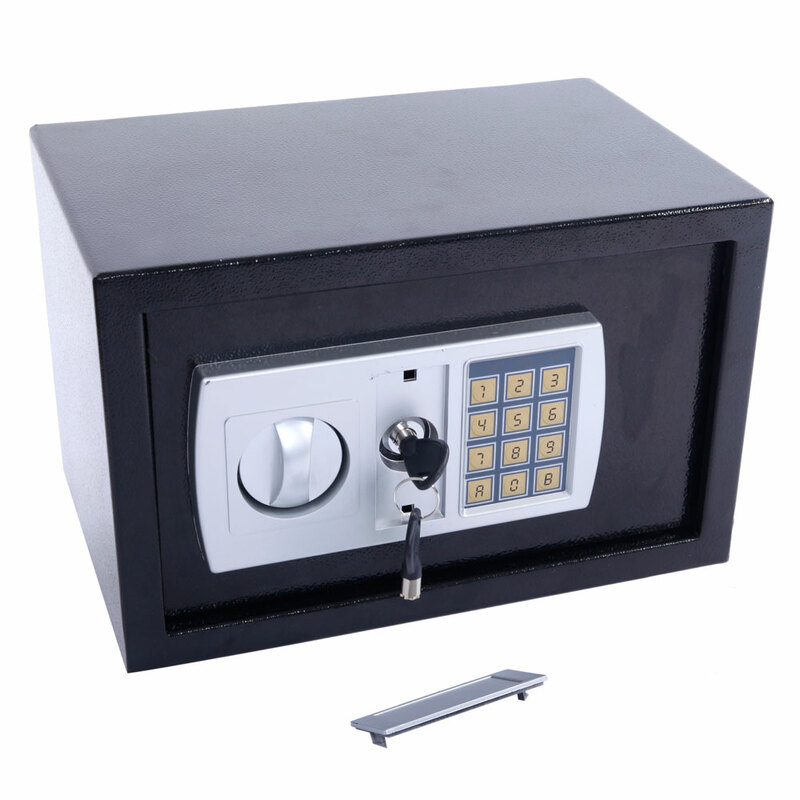 Compared to the big safe, I prefer this small, buy a few more safe, very strong, and will buy again, not bad.